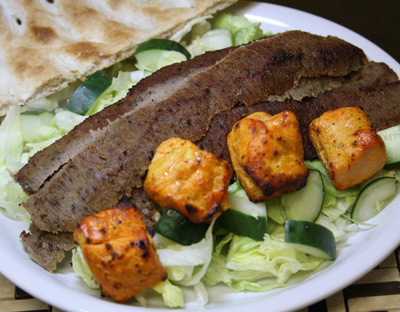 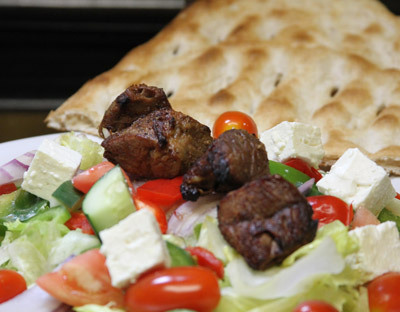 Iceberg lettuce tossed with fresh green and red peppers, onions, cucumber, and tomato topped with feta cheese, our special house dressing, and one skewer of our famous Lamb Kabob. 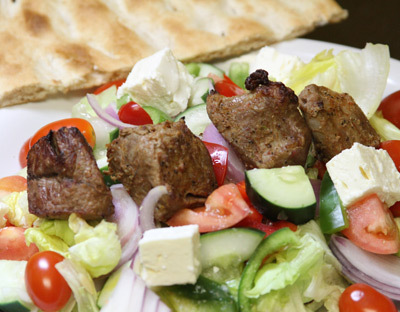 Iceberg lettuce tossed with fresh green and red peppers, onions, cucumber, and tomato topped with feta cheese, our special house dressing, and one skewer of seasoned Beef Kabob. 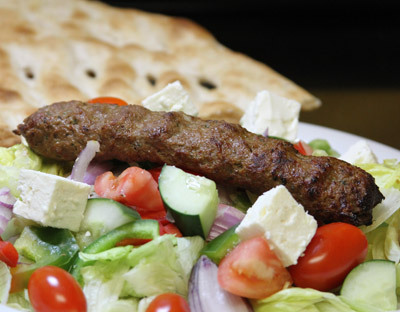 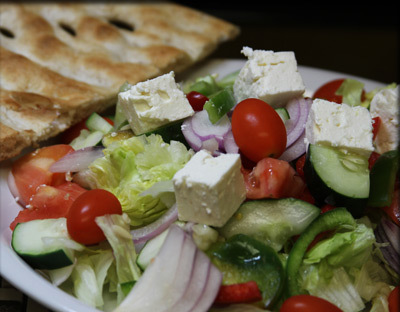 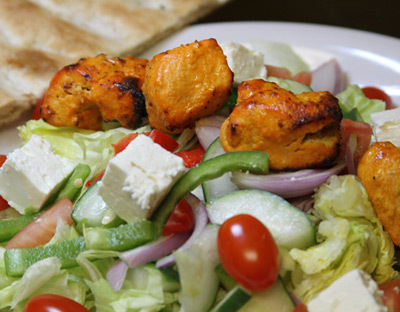 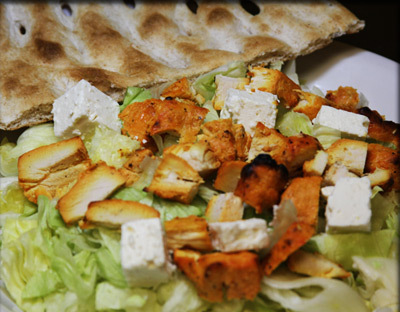 Iceberg lettuce tossed with fresh green and red peppers, onions, cucumber, and tomato topped with feta cheese, our special house dressing, and one skewer of our spiced Shami Kabob.